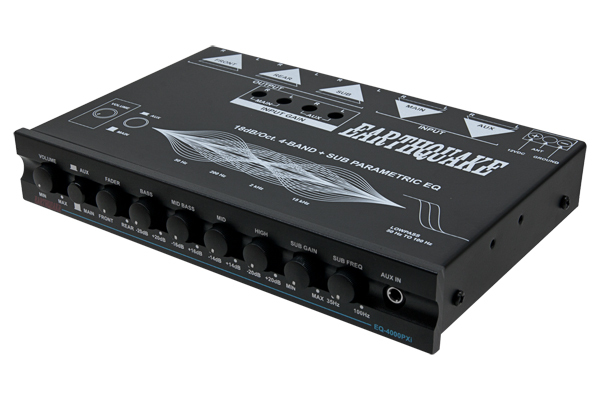 Earthquake's line of equalizers do more than just alter your music. They give you 4 or 7 bands of equalization, subwoofer crossover, level controls and an extra audio input for a secondary source. You can control all this from the EQ-PXi with adjustable knobs. A few clicks and turns of the knobs and you can tailor all the EQ settings and level controls. Imagine the innovation involved in this one little half din unit. Extend your functionality.